The 2016/17 edition of ‘Nuf Sed is comprised of 12 singers with a focus on contemporary music. This ensemble sings a wide range of music from Gospel to jazz to pop. They are equally comfortable with rhythm section or performing a cappella. 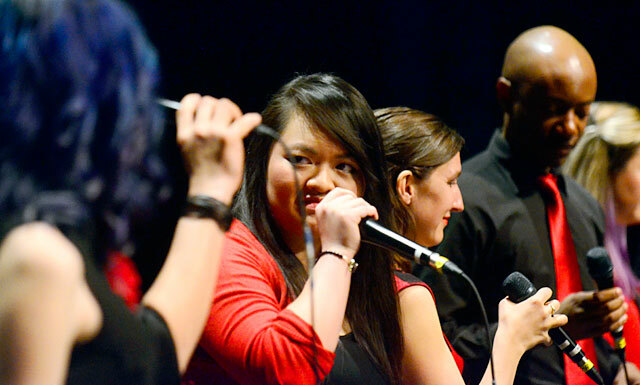 The group will perform at several local and national festivals this year. ‘Nuf Sed is directed by Scott Leithead. In recent years the group has traveled across Canada and Europe and they have been featured at the following festivals and conferences: Whistler Cantando Festival (2016); MusicFest Canada (Toronto 2015); Podium 2016 (Choral Canada National Conference); and Choralfest South Jazz (Calgary 2016).